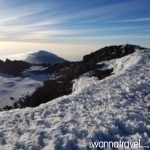 Northern Circuit is the newest and longest route on Kilimanjaro. It begins in the west at the Londorossi Gate and follows the Lemosho Route for the first few days. 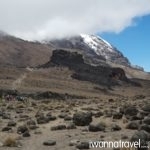 At Lava Tower, instead of turning south to Barranco Camp, it heads north and circles the mountain clockwise from Moir Hut to Buffalo Camp to School Hut, before summiting from the east. This route which requires at least 8 days to complete offers great varied scenery and excellent opportunity for acclimatization. Today you will hike across the Shira Plateau from west to east over a pleasant relatively flat terrain. Take your time to explore the spectacular plateau which is one of the tallest plateau on earth. Along the way, you can make a side visit to Cathedral Point (3806m), a huge buttress of lava rock surrounded by steep spires and pinnacles. 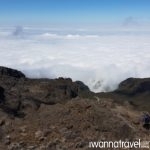 From the top, you will be rewarded with an expansive view of the plateau and the distant Mount Meru (4562m) – second tallest peak of Tanzania – floating on a sea of clouds. Among the three peaks of Kilimanjaro; Shira, Mawenzi and Kibo, Shira was the first volcano to extinct and is also the oldest and smallest peak. 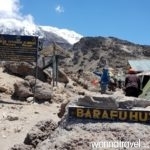 Thereafter you will proceed towards Shira 11 (3850m) located on the eastern edge of the Shira Plateau. Today’s hike which takes about 6 hours to complete will provide an excellent acclimatization opportunity. The mesmerizing sunrise over the distant Meru Peak will undoubtedly be one of your trip’s highlights. Today you will head into some serious altitude towards the 4,600m high Lava Tower – an imposing lava plug, a geological “cork” over a volcanic vent, formed when Kilimanjaro was an active volcano. Along the way, you will pass through the “Garden of the Senecios” with giant groundsels and lobelias which are larger than a human. 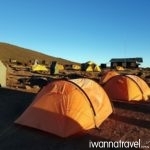 From Lava Tower, you will hike along the Northern Circuit route down to Moir Camp (4200m) – an isolated and seldom used camp site with great views over the Shira Plateau. The Northern Circuit route as it is named circumvents around the north-western side of Kibo. 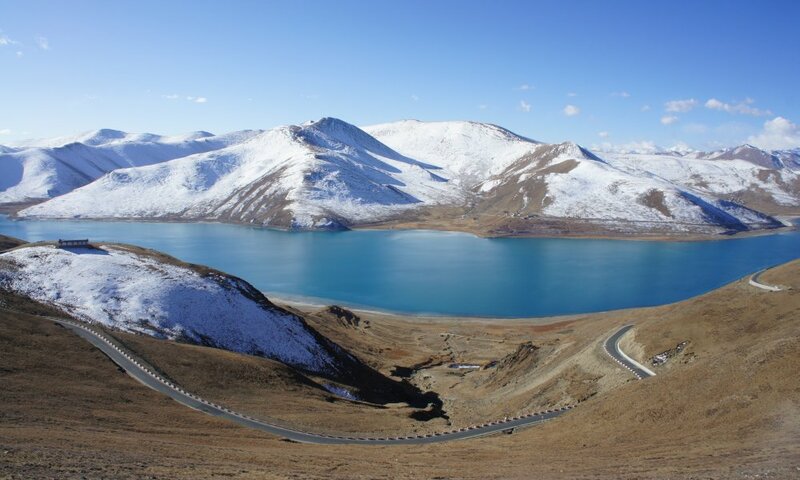 Climbing high and sleeping low is a good way to acclimatise your body to the high altitude. It takes about 3-4 hours to reach Lava Tower and another 2-3 hours to reach Moir Camp. From Moir Camp, the trail continues to circumnavigate Kibo, climbing steeply out of the valley before descending to Buffalo Camp (4020m). 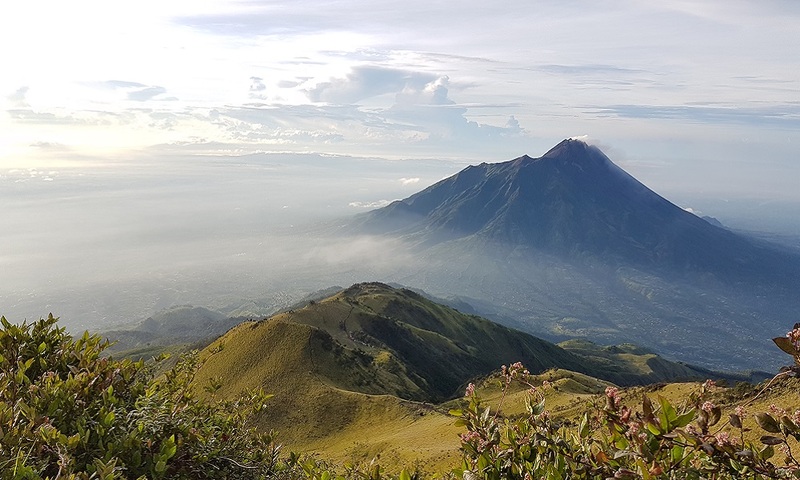 Depending on your energy level, you can take a small detour to explore the Lent Hills (4375m) before returning to the main trail. Along the way, you can enjoy close-up views of Kibo and expansive panoramic views of Kenya’s wild savannah to the north. 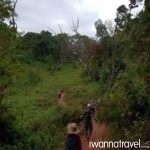 Today’s hike starts with a climb up the Buffalo Ridge and down into Porfu Camp where you will have lunch. 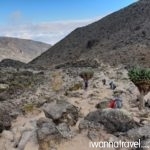 The trail then continues east around the northern slopes to the Third Cave Camp (3800m). Immerse yourself in the wilderness of this rarely travelled route and look out for buffaloes crossing your path. Today you will climb up and over the saddle that connects the Kibo and the Mawenzi peaks. 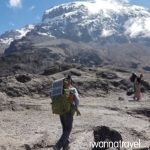 No long into the hike, you will get to see Mawenzi (5148m). 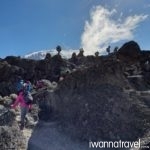 Mawenzi is the third highest peak in Africa and one of the three volcanic cones on Kilimanjaro. 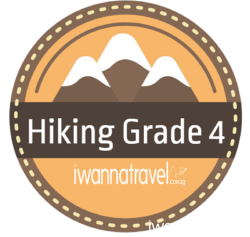 After 5 hours of uphill hike, you will reach School Hut where you can start to prepare your gear (down jacket, balaclava, fresh batteries for head lamp, etc.) for D-Day tomorrow. There will be nothing much for you to do except to get plenty of rest. 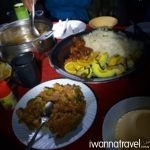 After an early dinner, you will return back to your tent for further rest. At 4750 high, School Hut is at the highest altitude that you will sleep at for the whole hike. Your guide will wake you up around 11pm for the summit push. The summit push is the most mentally and physically challenging portion of the hike. 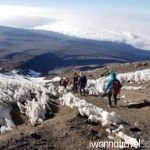 After 5-7 hours of hiking, you will reach the crater rim at Gilman’s Point (5681m). Along the way you will pass by the famous Hans Meyer Cave (5150m) named after the first European who reached the summit in 1889. 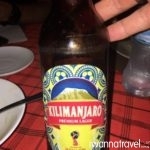 From Gilman’s Point, it is another 2 hours climb to Uhuru Peak. 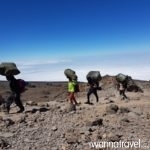 As you step foot on Uhuru Peak – the highest point in Africa, you will feel that your months of training for this adventure is a worthwhile effort. 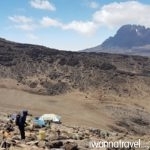 From the summit, you will descend to Barafu Camp for some rest and lunch before continuing to Mweka Camp where you will spend your last dinner and night on the mountain. 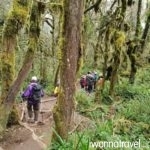 It is possible to reduce the trekking duration from 9D8N to 8D7N by condensing Day 05 and Day 06 into one day. From Shira 1 Camp you will head directly to Shira 2 Camp for lunch and then carry on to Moir Camp: SHIRA 1 CAMP – SHIRA 11 CAMP – MOIR CAMP. 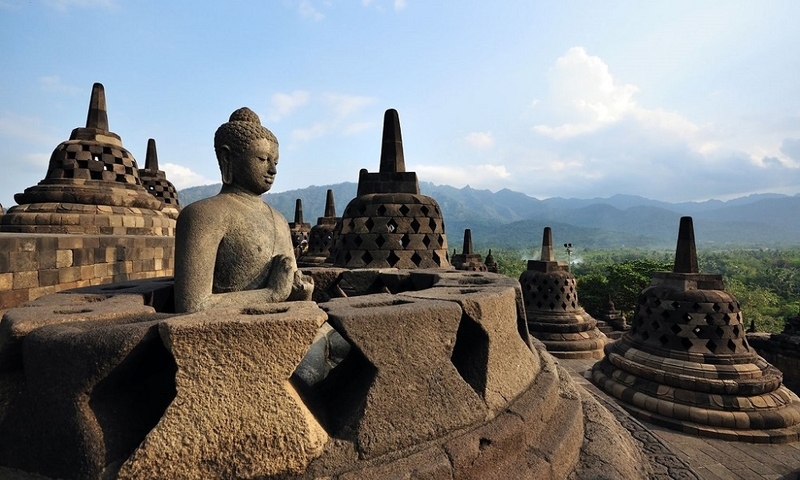 However this is not an ideal itinerary as it offers less days for acclimatization.